Has Fast Flow RO Kit. The Home Master HydroPerfection Undersink Reverse Osmosis System delivers solutions, not problems. Even the most health conscious individuals will be impressed with its exceptional water purity and added minerals that produce clean, great-tasting Mineral Water on Tap. It removes up to 98% of iron and other contaminants while safely sterilizing 99.99% of microorganisms. The included permeate pump will reduce water waste by up to 80% while increasing water production by up to 50%. Home Master’s innovative design eliminates the most common problems found in traditional RO systems — canister filter housing leaks, slow flow rate, high water waste, service challenges, and slightly acidic water. 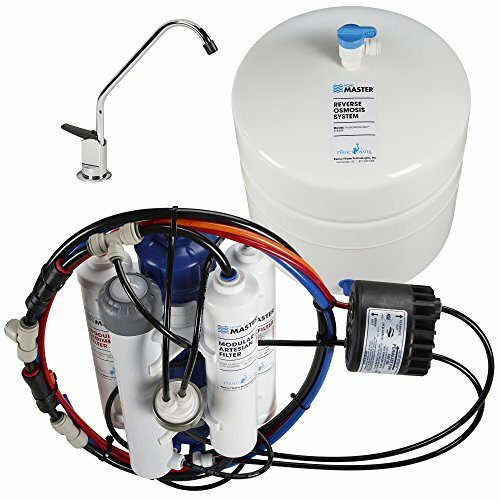 Its superior performance has made it one of the best RO systems on the market and it’s all backed by a five-year limited warranty. The product construction is not clear. A bit difficult to Install the System.